AHIMA, CHIME, HIMSS and others say lack of support for a nationwide patient identity strategy has stymied innovation, cost hospitals revenue and put patient safety at risk. 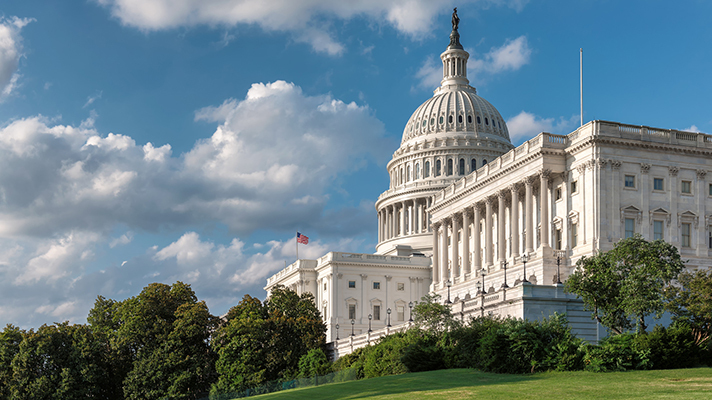 A who's-who of health IT and interoperability experts including HIMSS, AHIMA, AMIA, CHIME, Sequoia Project, SHIEC, Surescripts and others called on Capitol Hill to finally make patient matching and safety a priority. The 33 organizations asked both houses of Congress to include language that "seeks to end patient safety issues related to patient matching" in any fiscal year 2019 appropriations bills from the House or Senate. "For nearly two decades, innovation and industry progress has been stifled due to a narrow interpretation of the language included in Labor-HHS bills since FY1999, prohibiting the U.S. Department of Health and Human Services from adopting or implementing a unique patient identifier," the groups, which also included major health systems such as Intermountain and Trinity Health, wrote in a letter this week to the chairs and ranking members of the Senate and House Committees on Appropriations and Subcommittees on Labor, Health and Human Services, Education, and Related Agencies. The continuing lack of a national patient identifier system, and the ongoing Congressional prohibition of any federal funding to research the ideas around nationwide patient ID, has long been a frustrating state of affairs for a wide array of health IT experts who see the benefits that could accrue from easier and more seamless patient matching. There's been encouraging progress on patient identification from a number of different corners of the healthcare industry, from government-supported algorithm contests to private sector-driven tech initiatives. But the larger challenge remains unsolved, largely because of the federal bureaucracy, even as the ways better patient ID could improve everything from the opioid epidemic to more basic interoperability challenges become more and more clear to anyone paying attention. Recent years have shown that some politicians may be rethinking the value of unique patient identifiers, but what momentum there is still seems slow. This past October, for instance, four Senators asked the U.S. Government Accountability Office for "clear recommendations for steps that federal agencies – specifically ONC – could take to develop improved patient matching methods." Still, there's much more that could be done to explicitly drive the conversation forward. The Committee is aware that one of the most significant challenges inhibiting the safe and secure electronic exchange of health information is the lack of a consistent patient data matching strategy. With the passage of the HITECH Act, a clear mandate was placed on the Nation’s healthcare community to adopt electronic health records and health exchange capability. Although the Committee continues to carry a prohibition against HHS using funds to promulgate or adopt any final standard providing for the assignment of a unique health identifier for an individual until such activity is authorized, the Committee notes that this limitation does not prohibit HHS from examining the issues around patient matching. Accordingly, the Committee encourages the Secretary, acting through the Office of the National Coordinator for Health Information Technology and CMS, to provide technical assistance to private-sector led initiatives in support of a coordinated national strategy for industry and the federal government that promote patient safety by accurately identifying patients to their health information. The aim of that language, the groups said, is to clarify Congress' intent with regard to patient privacy while also ensuring that the government doesn't impede the progress of private-sector efforts to solve the problem of patient ID. The industry associations explained that duplicate or incomplete precision medicine and disease research as well as the growing opioid epidemic will continue to be hindered until the patient matching paradox is solved. Enabling ONC and CMS to provide technical assistance to private-sector patient matching projects "will help accelerate and scale safe and effective patient matching solutions," according to the letter. Such solutions are needed now, and have been for some time, the groups tell Congress, citing studies that show patient misidentification costs the average healthcare provider $17.4 million per year in denied claims and potential lost revenue. More pressingly, the groups cite the 2016 National Patient Misidentification Report, which reported that 86 percent of respondents said they had witnessed or knew of a medical error that was the result of patient misidentification. "Patient identification errors often begin during the registration process and can initiate a cascade of errors, including wrong-site surgery, delayed or lost diagnoses and wrong patient orders," according to the letter. "Incorrect or ineffective patient matching can have ramifications well beyond a healthcare organization’s four walls,” the healthcare organizations told the committee heads. "As data exchange increases among providers, patient identification and data matching errors will become exponentially more problematic and dangerous."